Aikido, as a martial art, is designed to neutralize an attack without injuring the attacker. 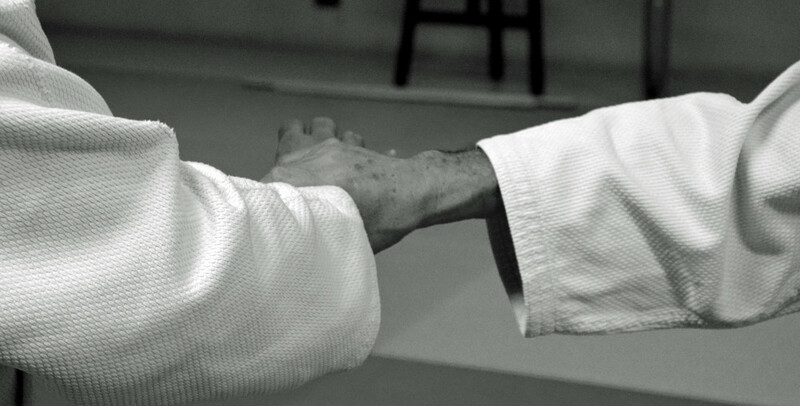 It is the aikido practitioner’s responsibility to protect the person attacking them from harm. The intent of using aikido should always be to restore harmony to a situation and end any violence without increasing aggression. At Ki Rei Shinkan Aikido, I focus on teaching and learning practical skills. Aikido is a martial art, so, through it, we should learn practical defense techniques. We are not dancing! We are not meditating! We are applying defensive movements to control an attacker and neutralize their aggression toward us without injuring them. Not every move we do during class will be a practical defensive technique. There will be some actions that will be skill builder activities. A movement might help us learn to blend well or lead an attacker but those same moves would not be practical to defend against an aggressor. An exercise may focus simply on a fundamental element like efficient breathing or a centered and balanced stance. I use weapons training to provide fundamental aikido elements as well. Those elements will be used to strengthen the foundation of our technique. Practice Hard. Improve daily. Do not compare yourself to others. Aim to improve yourself. Remember the saying on our dojo’s scroll: “the best victory is the victory over oneself“, – that is why we practice! If you are early for class, use the time energetically; don’t just sit there? Life is too short! During class, always make your effort count. Push yourself! Remember however to also make sure that your partner can and wants to practice again tomorrow. Enjoy your workout and always try to keep a good spirit through each class. The dojo can be an excellent way to reduce and eliminate the stress and strain that daily life can place on us. Remember that the time you are using at the dojo is your investment in improving yourself.